ACTS (Aleppo center for technical sciences) the administrator and sponsor of the official site of government of Aleppo on web. * PHP & Mysql Developer. * Web Designer Photoshop & Flash . 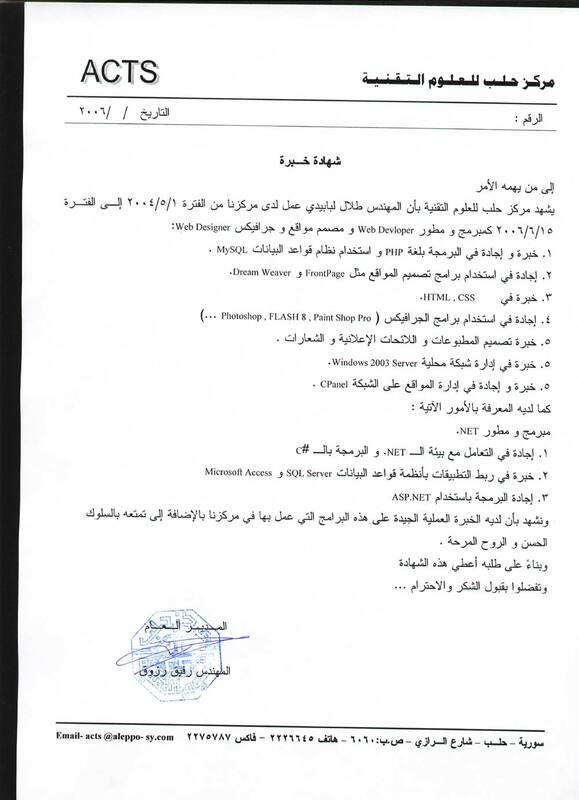 * a Sales Engineer, selling the web application products and selling advertisings on the Aleppo website. about : aleppo government province site talk about aleppo history, tourism, ancient monument,ruins, sport, education, famous people in aleppo .